Location: Located in Banjara Hills, Hyderabad, Taj Banjara is a 50-minute drive from Hyderabad International Airport and 4 km from Nampally Railway Station. The hotel is 10 km from the IT hub of the city. Banjara Lake is a few minutes drive from the hotel while tourist attractions like Charminar and Golconda Fort are approximately 40 minutes from the hotel. 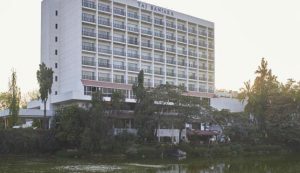 Located in Banjara Hills, Radisson Blu Plaza features a bar, spa, swimming pool and fitness centre. 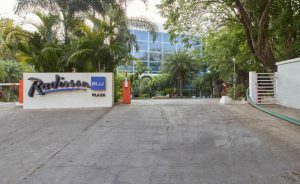 Location: The Radisson Blu Plaza is situated in the posh locality of the Banjara Hills of Hyderabad. It is well connected to the city’s shopping malls and movie theatres. The property is 4 km away from the Begumpet railway station, 6 km away from the Hyderabad Deccan Railway Station, 10 km away from Charminar and 6 km away from the Hussain Sagar Lake. Location: Situated in upscale area of Banjara Hills amidst 6 acres of landscaped gardens, Taj Deccan is a 40-minute drive from Hyderabad International Airport. Nampally Railway Station is 5 km from the hotel. GVK One mall is a few minutes drive from here. Tourist attractions like Golconda Fort and Charminar are within 10 km from the property. Located in the posh Banjara Hills, Fortune Park Vallabha features the signature Orchid restaurant & a hip lounge bar. 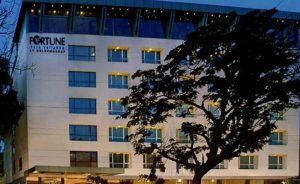 Location: In Banjara Hills, the city’s urban centre, the hotel is 2 km from the shopping centre, 8 km from the HITEC City and city centre. The hotel is 45 min from Rajiv Gandhi International Airport and 6 km from Nampally Railway Station. Tourist destinations such as Hussain Sagar Lake (7 km), Golconda Fort (12 km) and the Charminar (15 km) are all close to the hotel. 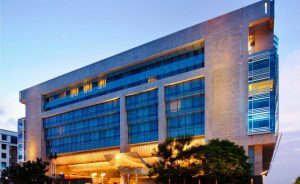 Location: Situated in the upscale area of Banjara Hills, Park Hyatt Hyderabad is 8 km from the IT hub of the city. Nearby tourist attractions include Golconda Fort (9 km) and Charminar (11 km). The Hyderabad International Airport and Nampally Railway Station are less than an hours drive away.